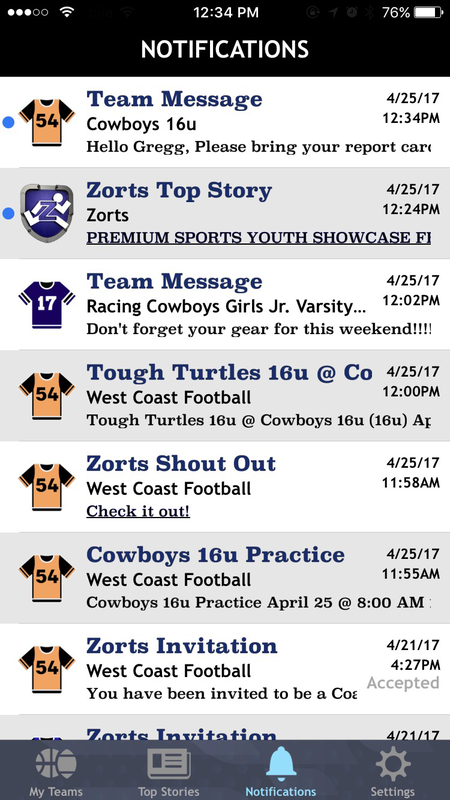 ZORTS is a sports App created to promote, encourage, support, and coordinate organized sports. Youth sports play an integral part in most people’s lives teaching fair play, teamwork, and the benefits of hard work. The principles behind Zorts are preparation, fearless effort, and attention to detail. These principles are the foundation for our success and are the daily focus of the team at Zorts. ZORTS is always looking for partners that are passionate about sports and are looking to make a positive impact in their community. Feel free to contact us by phone and email, or we welcome you to make an appointment to visit us at our corporate headquarters in Las Vegas, Nevada. ZORTS is a product of App-Order.com, a world leader in advanced mobile enterprise systems. Send or receive real-time notifications of meetings, practices, and game schedules. Important messages are sent to Participants individually or in groups in just seconds from the app or web. 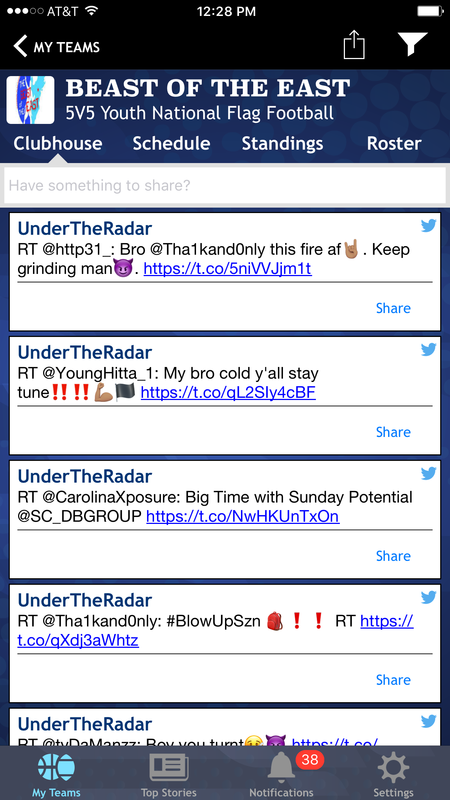 Get instant updates on games and teams that you follow. Time changes, new locations, and rainouts are communicated quickly to all Participants in one easy step. Run your entire tournament on Zorts for free. Set-up from start to finish takes just a few minutes. Add and manage Participants with real time notices. 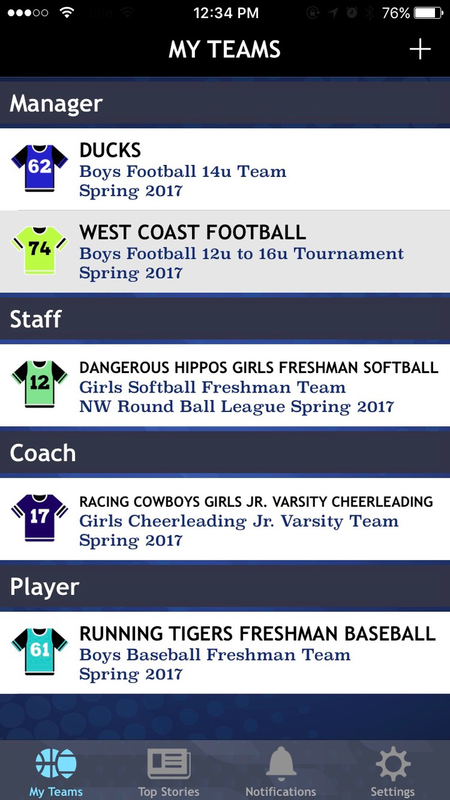 Participants can quickly add rosters from the app or web. 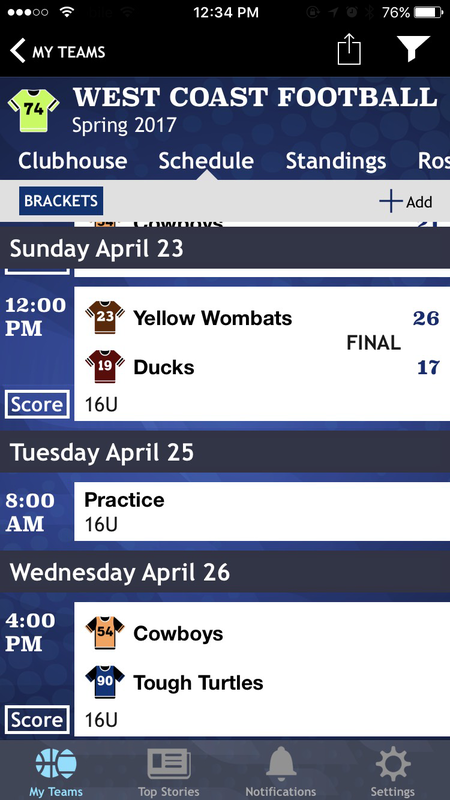 Pool play, standings, and bracket play are auto-generated and updated in real-time to all Participants. Scores can be entered from the web or app. Plus, being on Zorts links you to other teams looking to participate in your Tournament. Create, view, and manage your sports schedule quickly and easily. On Zorts you can filter to see the schedule of all of your teams in one place. Game schedules from a league or tournament are electronically transferred in real-time to each individual team’s schedule. Schedules include driving directions and notes. Schedule changes are instantly updated to all Participants, and the coach or manager is able to confirm that all Participants received the update. 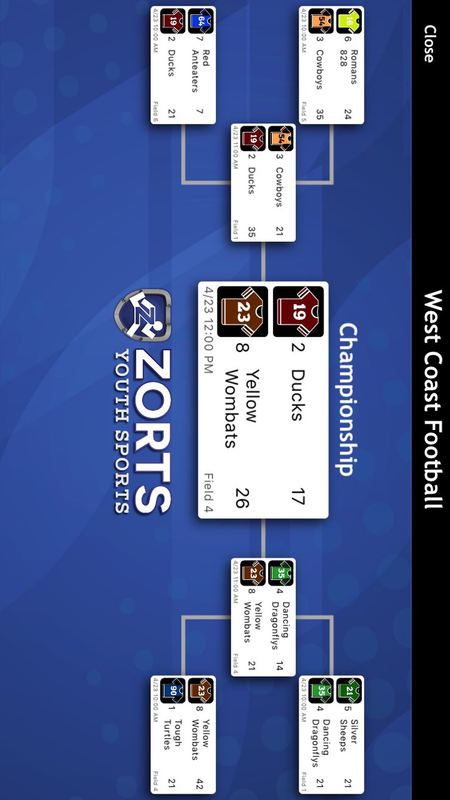 Whether it’s a final score or a game update, Zorts provides lightning quick input. Participants receive real-time updates via push notification and/or email. 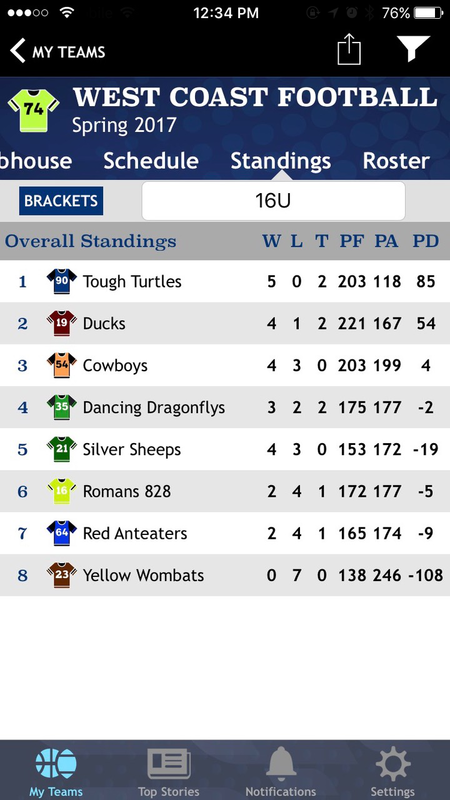 Standings are also updated in real-time and can be sorted by both group and overall rankings. Score differential, Head-to-Head, and Strength of Schedule are all customized fields that you control to help sort the rankings. To see how your team compares against common opponents, click on a team in standings and see all their game results. Create and manage your rosters with ease. 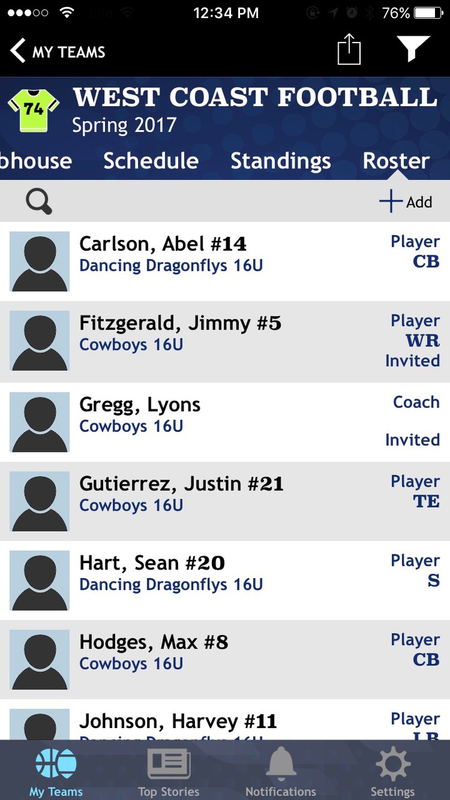 Tools to create rosters include XLS import and selecting from your phone’s contact list. Add photos, stats, and links. Make your roster public, or keep it private. Rosters carry over from season to season and can be easily edited. When joining a tournament on Zorts, you can transfer your entire roster in one easy step. Always be on time with the Zorts app built in mapping feature. From within the schedule on the Zorts app, click the map icon and get instant driving directions to the event. Even see the anticipated arrival time. Never show up at the wrong field, park, or school again. Create your Team or League for free now! 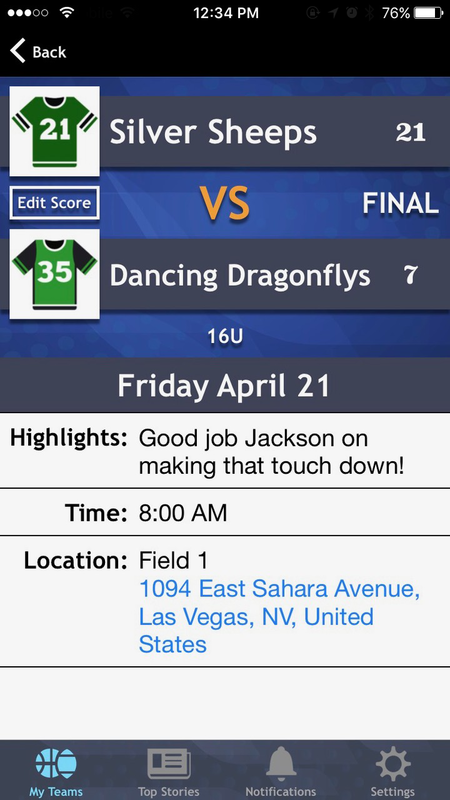 Zorts is a phenomenal product that helped Pylon’s 7v7 tournaments limit the man hours required for scoring and bracketing, while creatively adding player, parent, and coach interaction on and off the field. Zorts makes communicating with our team parents and staff so easy. Instead of having to send multiple messages, multiple times, you can do it all with one touch of a button on your phone. All of our lives are so busy and chaotic, to be able to get real time information, what’s going on with their matches was huge. It was great! For a peak at what's happening on Zorts, view our Top Stories . Feel free to contact us with service questions, partnership proposals, or media inquiries.